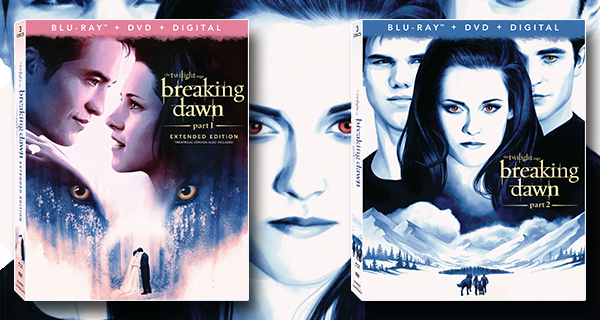 Breaking Dawn was the final book in the Stephanie Meyer’s Twilight Saga series, and it was so full, it had to be broken into 2 movies. Parts 1 and 2 revolve around the marriage, pregnancy, birth, and childhood of Edward and Bella’s (Robert Pattinson, Kristen Stewart) little family, which now include Reneesmee and Jacob (Mackenzie Foy,Taylor Lautner). Eclipse, the third film in The Twilight Saga franchise, starts off in dark and rainy Seattle, where a young college student from Forks, Riley Biers (Xavier Samuel), is being chased and hunted by something. Turns out, it is Victoria (Bryce Dallas Howard), who turns him so he can build her a vampire army. She still wants revenge on Edward Cullen (Robert Pattinson) for killing her boyfriend James in the first movie, by killing his love Bella (Kristen Stewart). The opening dream scene in the meadow gets me every time as Bella sees herself as old with Edward. 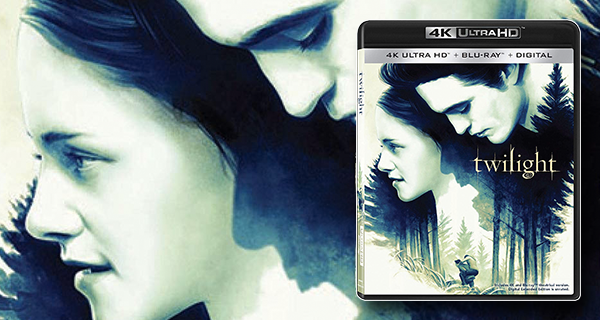 I think it is a beautiful concept as Bella (Kristen Stewart) worries about aging while her true vampire love Edward (Robert Pattinson) stays forever young at seventeen, and will not turn her. It’s Bella’s birthday, and as much as she “doth” protests, everyone reminds her of the celebrating. 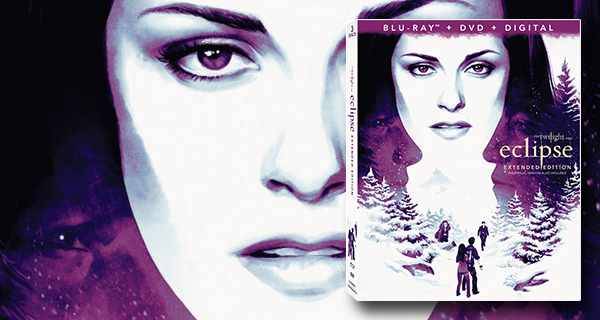 She really doesn’t get Edward’s attitude, until her disastrous birthday party at the Cullens where she almost becomes dessert that Carlisle (Peter Facinelli) explains it all to her. Catherine Hardwicke‘s Twilight started the craze in 2008 with teens everywhere taking sides as either Team Edward or Team Jacob. 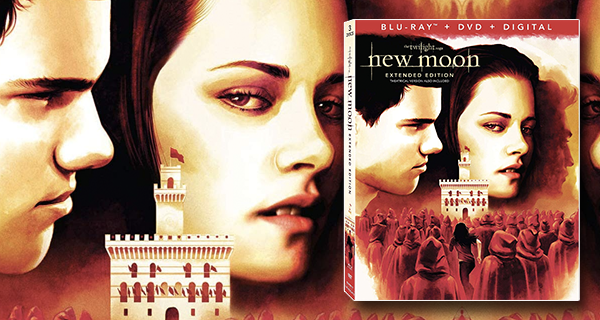 Based on the books by Stephenie Meyer, young Bella Swan (Kristen Stewart) was the envy of every girl, to have the heart of sparkly vampire, Edward Cullen (Robert Pattinson) and abs-olutely hunky Jacob Black (Taylor Lautner). The theatrical release of Lionsgate’s testosterone-heavy summer action epic The Expendables 3 isn’t scheduled for another three weeks, but that hasn’t prevented the finished film from being leaked online to various torrent sites. According to Variety the leaked copy of the Patrick Hughes-directed sequel currently in circulation was taken from a DVD screener and downloaded almost 200,000 times around the world in a 24-hour period. That number is expected to increase as the official release of the film approaches. It’s become sort of a tradition with Sylvester Stallone‘s epic action series The Expendables—each movie is rumored to possibly be getting a PG-13 rating, then ultimately ends up with an R when it’s all said and done. The Expendables 2 famously had Chuck Norris state that the movie would be PG-13 (because young fans shouldn’t have to hear naughty language while watching bad guys get mowed down by big f’n guns), which was confirmed by Stallone, only later to be changed to an R.
As The Expendables 3 has approached, rumors of a PG-13 rating have of course made the rounds. But now comes word that the rating is no longer a rumor, but a sad fact. According to reports, the MPAA has given the teen-friendly flick the rating due to violence, including intense sustained gun battles and fight scenes, and language. Lionsgate has released an action-packed new trailer for The Expendables 3. You can watch it here below. This preview not only gives us a gander at the large-scale action set-pieces we’ve come to expect from the franchise but also provides us with some story details. Not much though. We already knew Mel Gibson was playing the villain and was a former friend and partner of Sylvester Stallone‘s character. The good guys get an infusion of young blood. Lots of stuff blows up. Corny jokes and cliched dialogue are exchanged. Rinse, repeat, roll credits. 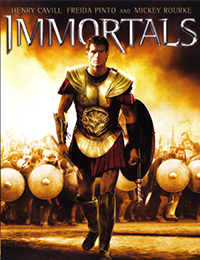 Coupled with delightful visuals and unreal effects, Immortals is a fantasy, with a reasonable cast and a good dash of battle gore. While it takes the lead from the likes of 300, Troy, and Clash Of The Titans; it also unfortunately butchers the original mythology upon which it is ostensibly based, taking the phrase "loosely based" to new levels of bullshittery. Immortals follows the legend of Theseus (Henry Cavill), the founder-hero from Greek mythology, responsible for the formation and consolidation of Athens – and eventually Greece as a power in the ancient world. Centuries after the war of the Immortals, evil King Hyperion (Mickey Rourke) seeks the Epirus Bow, the only weapon that could possibly free the evil Titans, antagonists of the Gods. A Hero’s Journey, Immortals depicts Theseus’ rise to prominence, a reluctant mortal who would stand by the sides of Gods – and eventually fight in their names. In a blood-soaked battle that would determine the conceptualization of "souls" in Greek culture, the stakes are high – and may spell doom not only for the mortals, but for Immortal Gods as well. 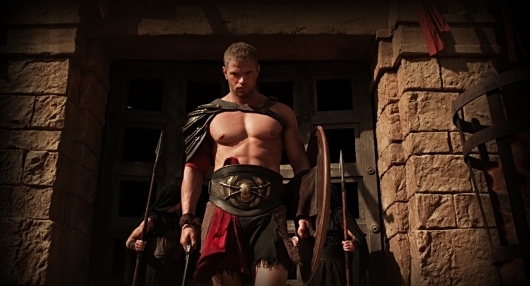 Twilight star Kellan Lutz posted to his Twitter account a teaser video for his upcoming film Hercules: The Legend Begins from Nu Image/Millennium Films. You can watch the teaser here below, which includes an intro from the actor from the set of Expendables 3. Hercules: The Legend Begins, which features Kellan Lutz as Hercules, Gaia Weiss as Hebe, the Princess of Crete), and Scott Adkins as King Amphitryon, is directed by director Renny Harlin. All of the aforementioned stars will be on hand at New York Comic-Con 2013 on Saturday, October 12 at 7:45pm at Main Stage 1-D at the Javits Center in New York City. 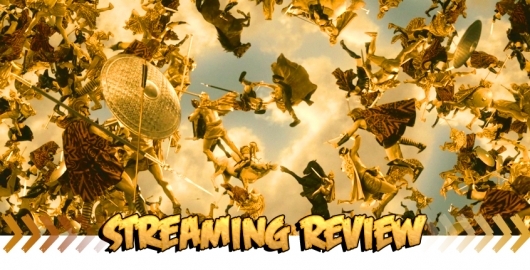 Be sure to keep it here at Geeks of Doom all weekend, as the Doom Crew will be on the scene in New York bringing you news and photos from the convention, including the panel for Hercules: The Legend Begins, where the movie’s trailer will debut. 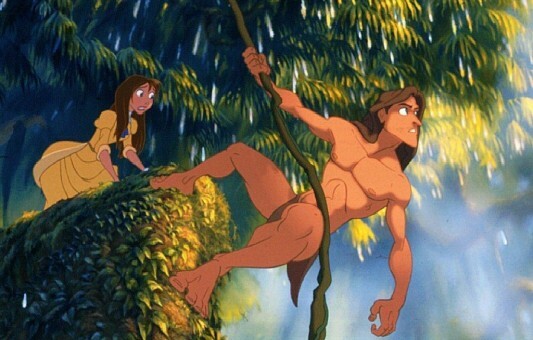 The Twilight Saga star Kellan Lutz, who played Emmett Cullen in the mega-hit movie franchise, has been cast to play Tarzan in an upcoming adaptation of the Edgar Rice Burroughs jungle-dwelling character for Constantin Films. Lutz will be joined by Spencer Locke, the actress that played K-Mart in Constantin’s Resident Evil: Extinction and Resident Evil: Afterlife, who will take on the role of Jane Porter. Instead of going live-action, the movie will instead take the computer animated performance capture route, and will also be in 3D…naturally.